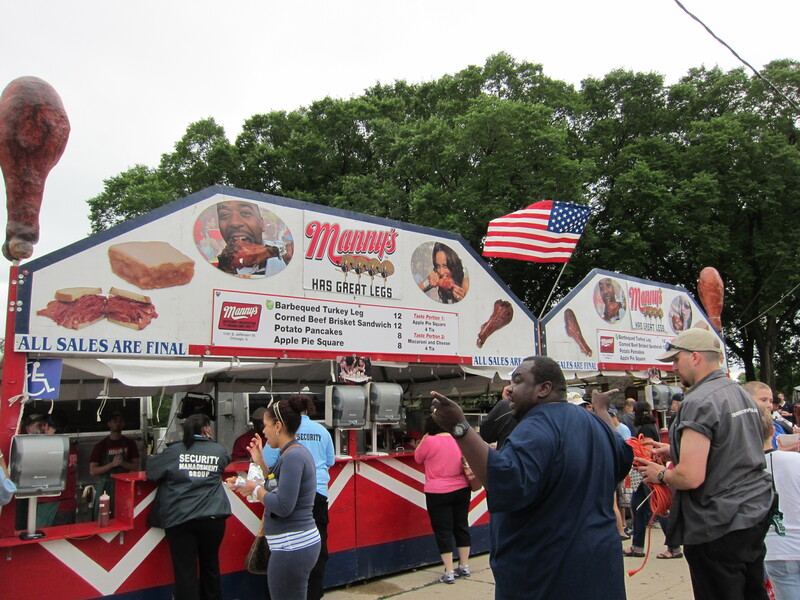 Summer in Chicago, if it’s not overly humid and hot, is an urban girl’s fun land. Skyscrapers, parks, beaches, countless hip restaurants/lounges/bars, shopping and festivals everywhere you turn. I’d always wanted to visit Chicago and even considered moving there after college. That thought was quashed one winter morning when I was watching one of those morning news shows and they were talking about the weather in Chicago. I don’t dress warm enough even for San Francisco so freezing temperatures and blistering winds definitely isn’t my cup of tea. The upside of the horrible winter weather is that the city comes alive during the summer months, as if its residents have awakened from their hibernation determined to squeeze out as much fun as they can before retreating again. 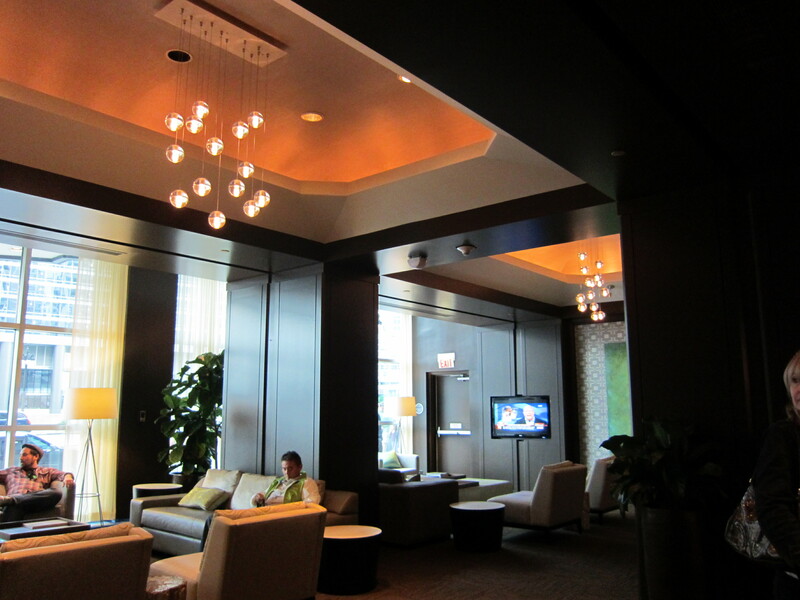 A girlfriend and I took off for Chicago for three nights. I have a horrible sense of direction and generally can’t comprehend maps but getting from O’Hare to the hotel and navigating around the city was a breeze. 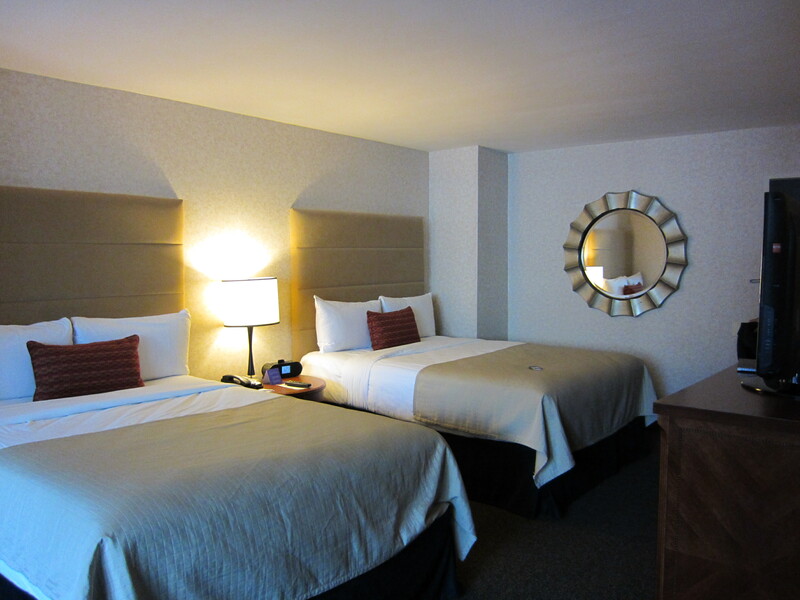 Hotel 71 has the perfect location: right next to the Chicago River, about two blocks to Magnificent Mile, near public transportation and walking distance to Millennium Park. 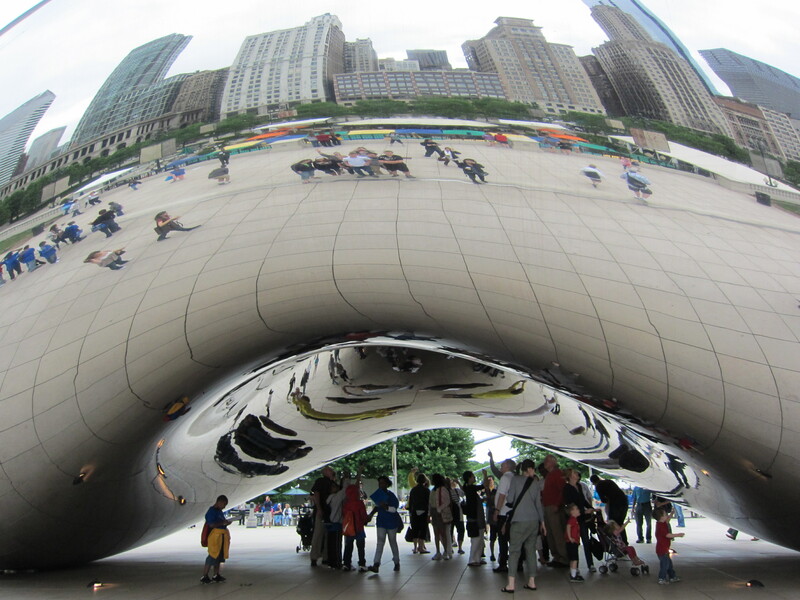 I didn’t expect to be so fascinated by Cloud Gate aka the “bean.” We’ve all seen the countless photos of the silver sculpture by Anish Kapoor that has become one of Chicago’s defining landmarks. It’s art that literally reflects the city. Every curve gives you a different view. Even the dirty finger smudges couldn’t detract from its beauty. 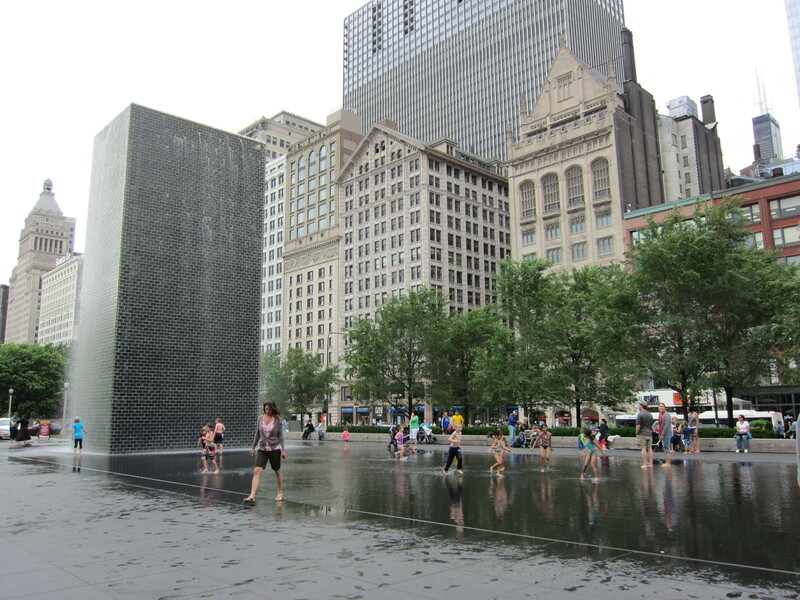 Sadly, the Crown Fountain didn’t show any faces when we were there. It usually lights up with the faces of local residents. 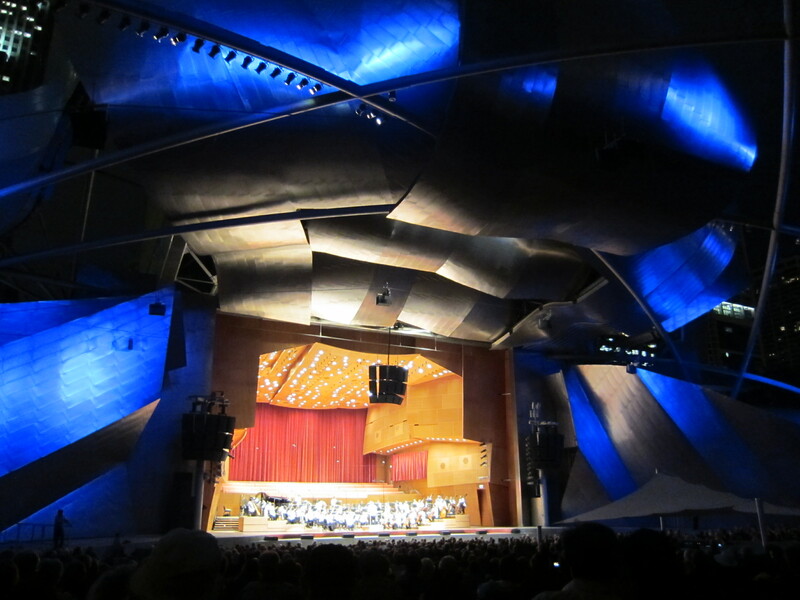 Be sure to come back at night, when it’s lit up and neighboring Cloud Gate reflects Chicago’s night lights. 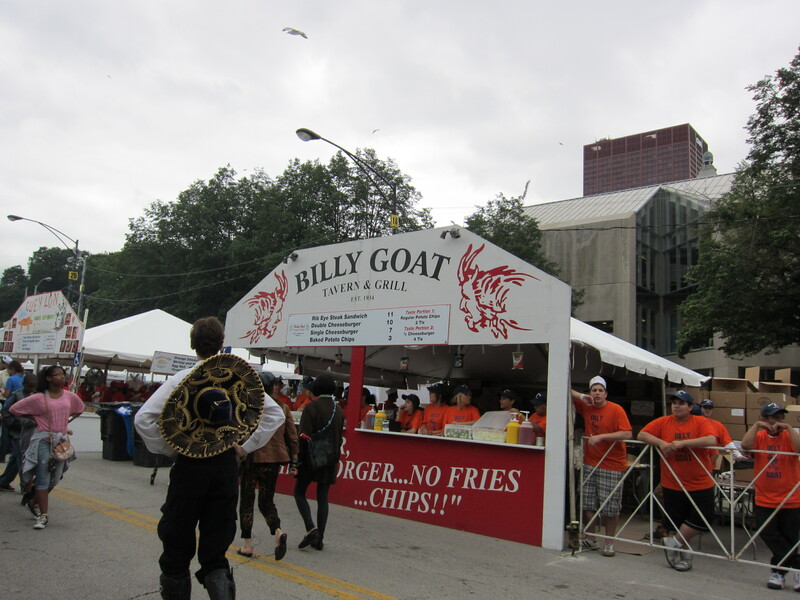 Billy Goat Tavern & Grill is an institution in Chicago. It’s famous for being a no-frills joint frequented by journalists, comedians and politicians who want to retain their working class appeal. Saturday Night Live made it famous with this parody. We didn’t get any cheezborger since nothing, in my opinion, comes close to an In-N-Out cheeseburger. I’m not sure what’s up why this man had a mariachi outfit on, there was no Mexican food (that I could find) to be found at Taste of Chicago. 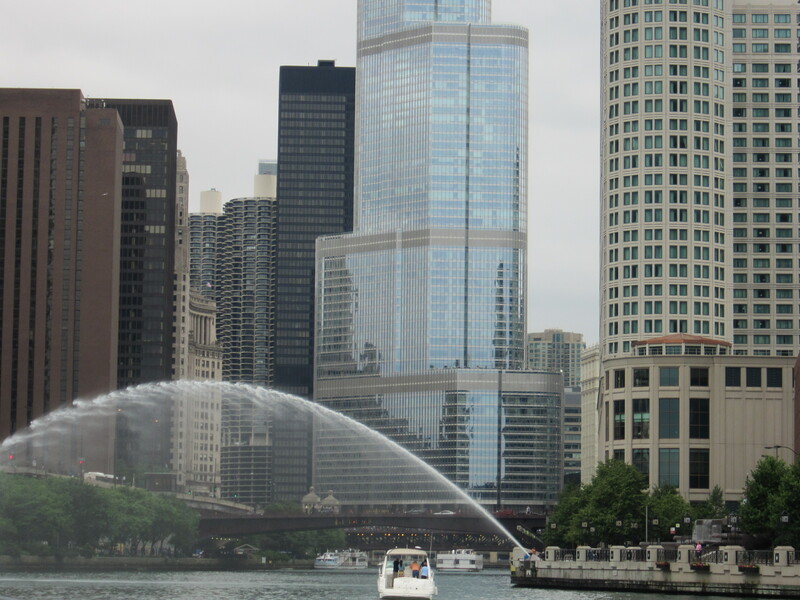 A major tourist activity is the Chicago Architecture Foundation river tour. We opted instead for the lower-cost Mercury Skyline Cruise. 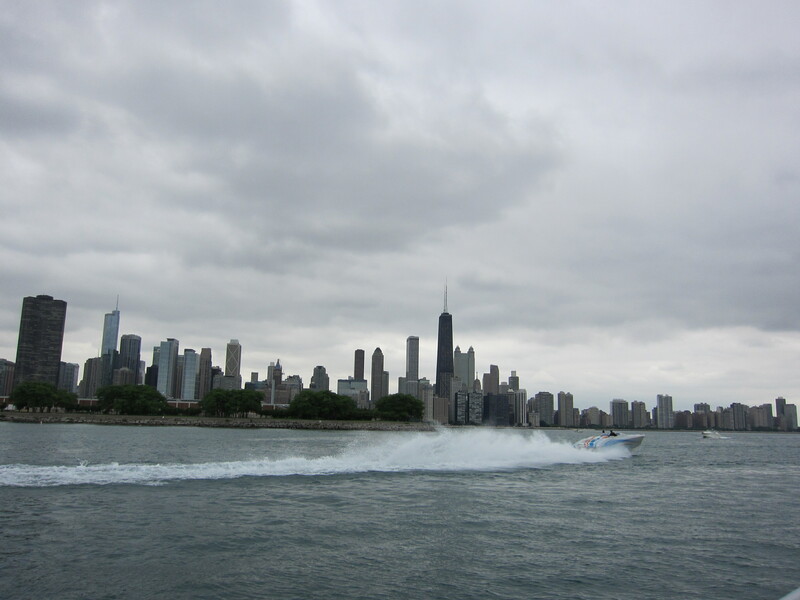 The cruise ventured out of Chicago River into Lake Michigan. The river portion was very enjoyable as the guide talked about the history of Chicago and its famous skyscrapers. Lake Michigan was cold and windy. The Centennial Fountain shot off a ton of water from its water cannon right in front of us. It does this feat every 10 minutes. Pray you don’t get an evil boat captain who decides that everyone needs a quick shower. 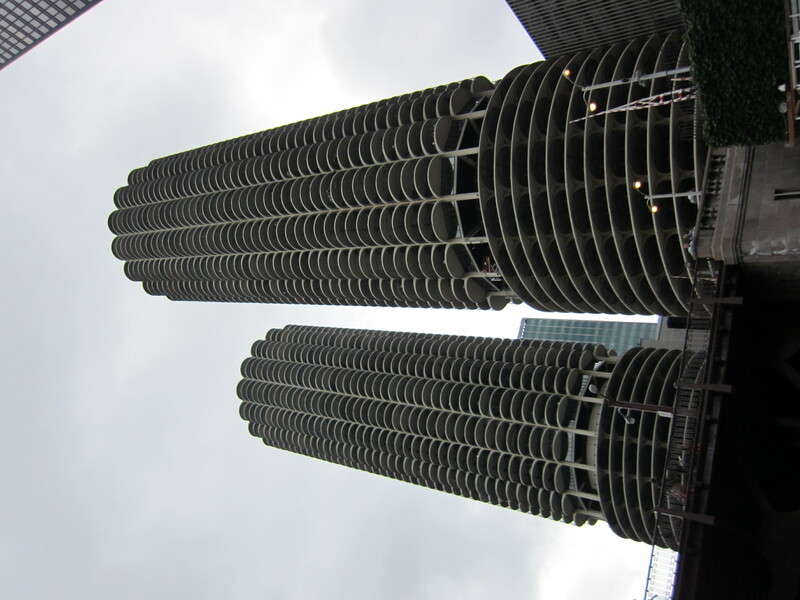 This is Marina City by architect Bertrand Goldberg. I would feel like I’m living in a beehive. The locals call them the corn cobs. 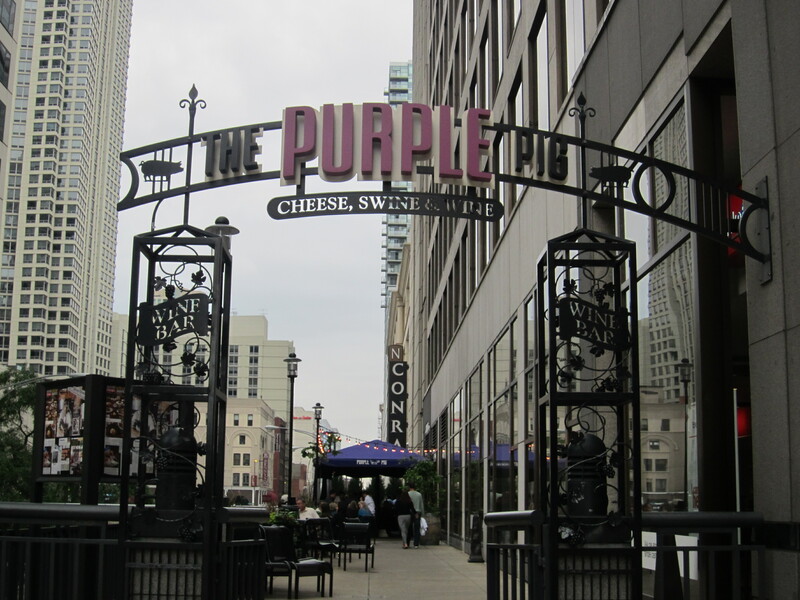 I knew that the Magnificent Mile was a long stretch of blocks devoted to shopping but I thought that there would be more restaurants. 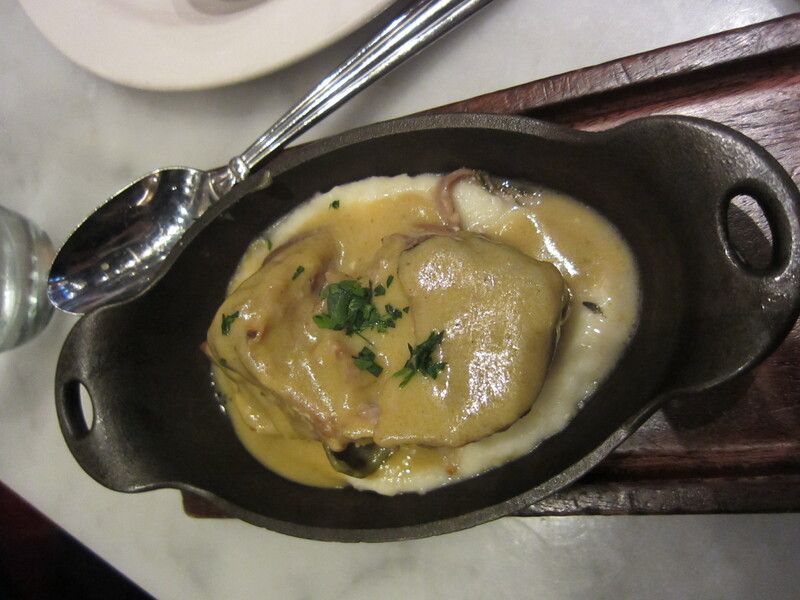 Luckily, my traveling companion is a big Yelper and she found The Purple Pig, a Mediterranean and Spanish tapas-inspired gastro pub for us. 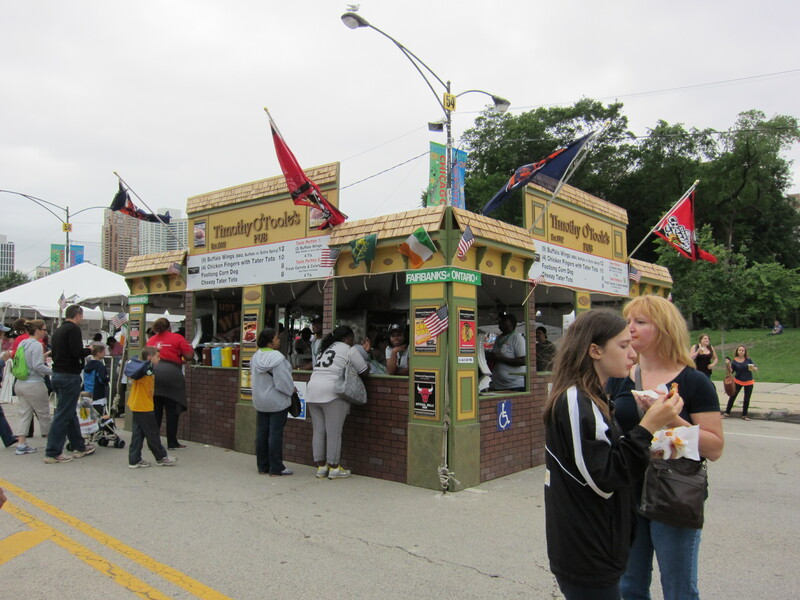 There was a 40-minute wait even though it was early evening. 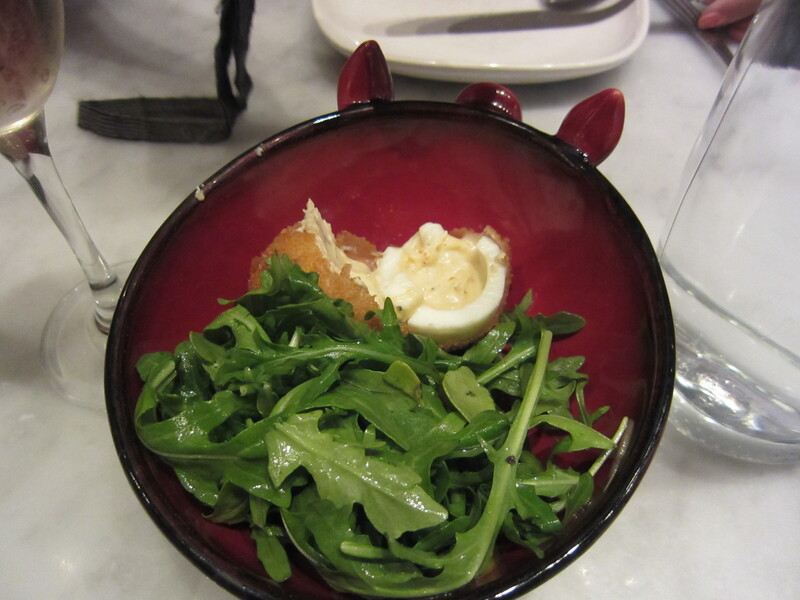 Not only is my traveling companion a big Yelper, she’s also a very adventurous eater, and that’s how we ended up with roasted bone marrow, fried pig ears with kale, deep-fried deviled eggs and milk-braised pork shoulder. 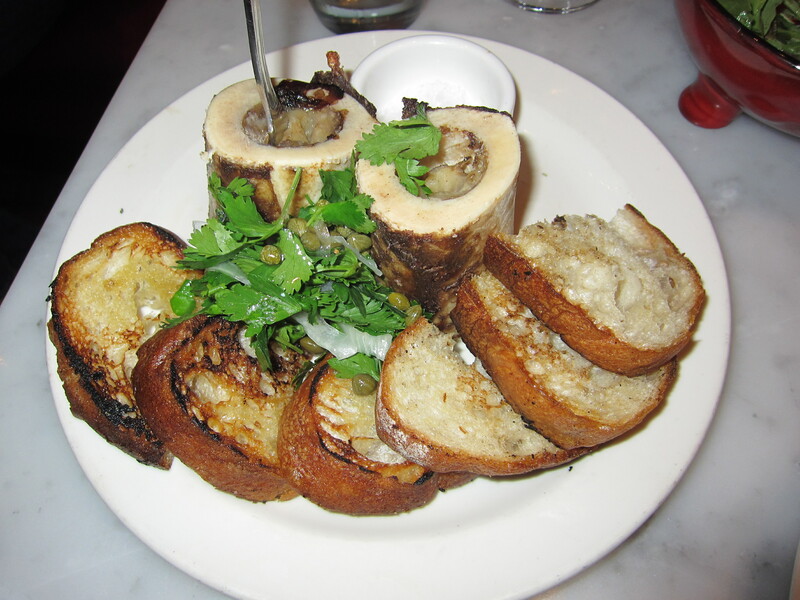 The standout was definitely the bone marrow, full of fat, salt and oil, my three favorite things. 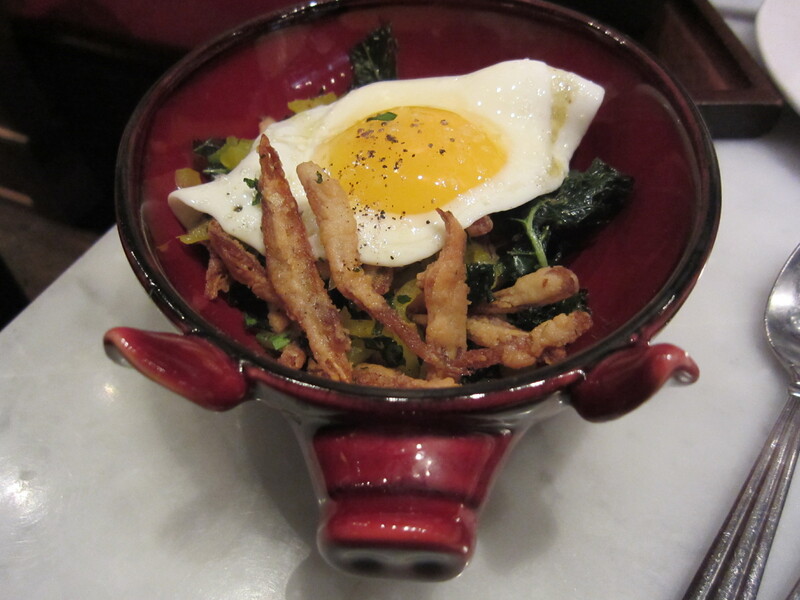 As for the pig ears, anything fried tastes good. Just don’t look too closely or else the veins may freak you out. 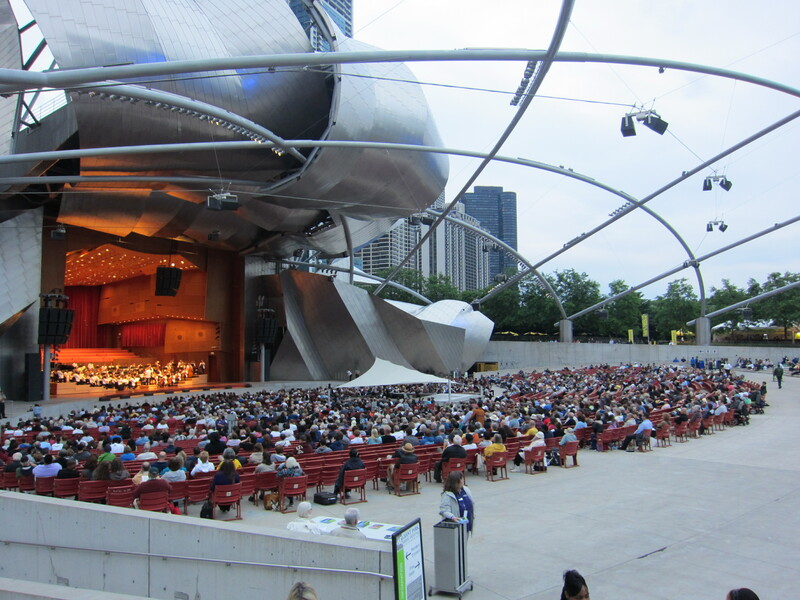 We had passed by the Jay Pritzker Pavilion earlier in the day, where a crowd had gathered to listen to the Chicago Symphony Orchestra practice for their evening performances as part of the Grant Park Musical. Later in the day, we came back to be transported to Latin America. 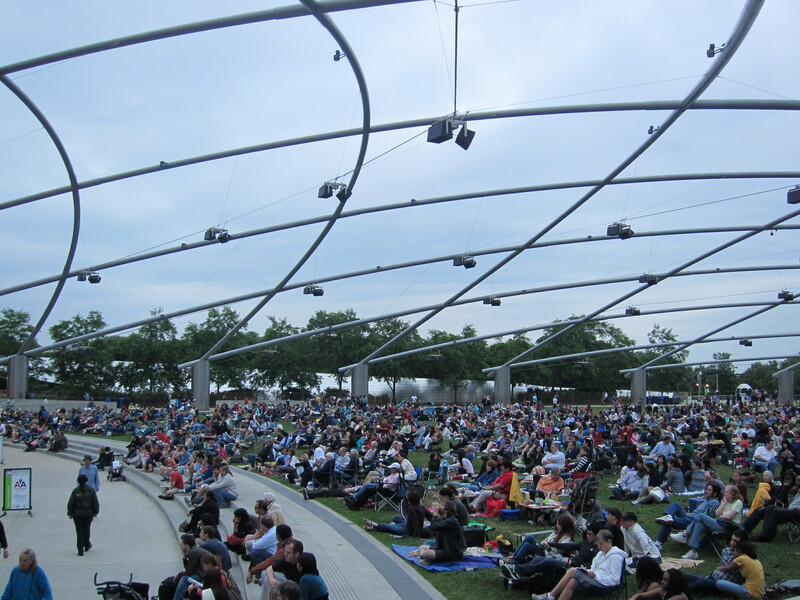 Surrounding us were people of all races and ages, similarly enjoying the free classical performance, in one of the most beautiful settings, on a warm summer night.